We were appointed by Galliford Try to design, supply and install the new catering facilities in the new PSBP build school which is on schedule to open in September 2016 along with seven others in the North of England. 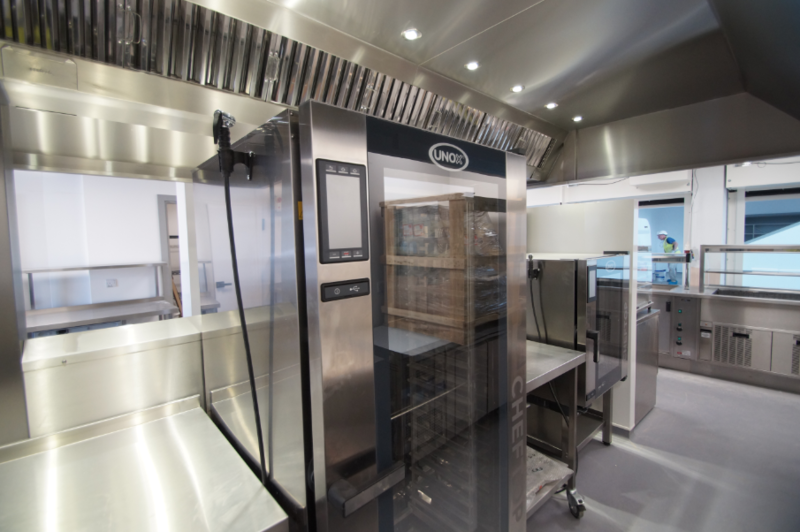 The Kitchen and servery includes state of the art equipment and innovations from market leading suppliers such as Unox ChefTop Mind Maps Plus™ combination steaming ovens and SpidoCook™ Contact Grills, Blue seal, Falcon, Williams Refrigeration and Coldstores , Hobart Warewash, Sammic preparation appliances , Hatco holding cabinets , Mechline hoses, taps and pre rinses and Grease Paks, IMC waste disposal station and E&R Moffat counters, which even includes a Giorik Pasta Cooker recessed into the counter and fabrication from CED the School, EFA and client are delighted with the overall project and the performance of everyone involved. GastroNorth also provided Foster drinking water coolers around the school. 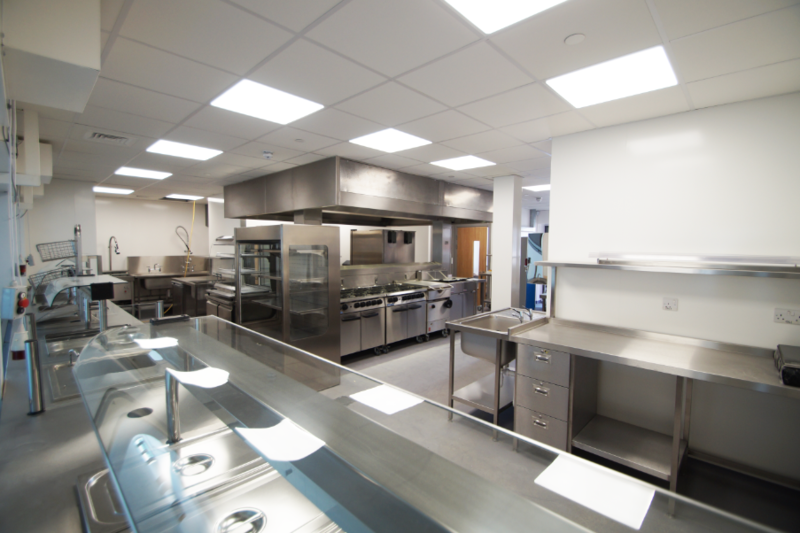 Richard Toye, Director at GastroNorth commented: “The initial consultation with the catering team is vital to ensure the caterers are able to function in a safe and productive environment, this kitchen has been bespoke configured and equipped to the requirements of the North Tyneside catering team. We offered solutions to their individual operational requirements whilst maintaining some synergy with the other 12 sites in this year’s PSBP program. I am delighted to be working with NTC again via Galliford Try after a long break as this is an area I grew up in and initially worked with extensively as a young designer and project manager when I first entered the industry.